The M-LOK to MOE Adapter Kit is designed specifically to adapt most* Magpul M-LOK compatible accessories to legacy MOE Hand Guards and Forends. 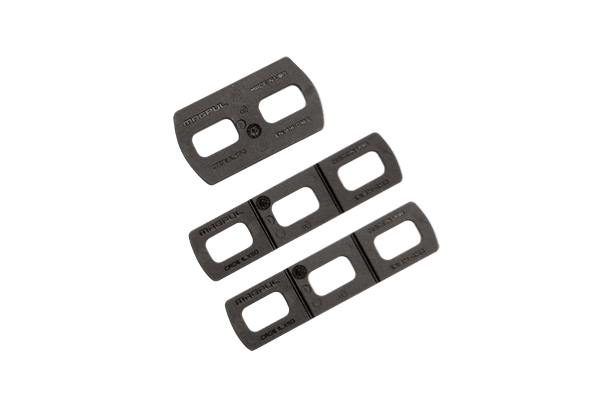 The M-LOK to MOE adapter plates are customizable to length by snapping sections off at the pre-determined locations which help ensure a near seamless installation. Adapter plates of various sizes and all replacement hardware are included.